Great fit for Losi Mini-T, Micro RS4, and other similar 1/18 scale vehicles. 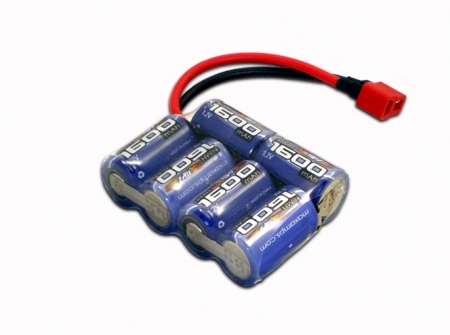 Perfect lipo battery pack for Hot Bodies by HPI MiniZilla, Mini-Zilla. HPI Micro RS4, Micro Drift. Losi Mini-T, Mini T, Mini LST, Mini-LST, Mini-LST2, Mini LST2, Mini-Baja, Mini Baja, Mini-Monster Baja, Mini Monster Baja, Raminator, Ramunition, Mini-Rock Crawler, Mini Rock Crawler, Mini-Desert Truck. Awesome battery pack! I bought this pack to bring back to life a stock Mini t, and could not believe the speed and long run time. Highly recommend. I bought this battery for my mini t. this thing makes it fly! Cons: makes the motor hot. overall i think this battery is well worth every penny. Wish I'd seen these before buying any other packs. It's hard to believe how much more power and speed I'm getting. Long run times too. These are great packs! I'll be using MaxAmps from now on.